One year ago today Mark Levin hosted Governor Sarah Palin on his radio show at which time she made her announcement that she would not seek the Republican nomination for the office of President of the United States. This year on October 5th, Levin hosted Chuck Heath, Jr. and gave him the opportunity to talk about the book he wrote with his father Chuck Heath, Sr., “Our Sarah Made in Alaska”. It’s a great interview that you won’t want to miss. John McCain will leave a tremendous legacy – soldier, statesman, role model – amongst a myriad of accomplishments. One outstanding achievement which will touch countless lives is the striking number of women and minorities who have been encouraged to seek office for the GOP since he chose Sarah Palin to be his running mate in 2008. Palin’s first public statement when joined with McCain was to celebrate another attack on the ‘glass ceiling”. Her dynamic campaign was a beacon to who knows how many women who saw that a working woman and mother could reach for the second highest office in the land as a Republican. Palin has not only led by example but she has actively encouraged, supported , endorsed and campaigned for women and minorities and a substantial number owe (and acknowledge it) their success to her support. Ted Cruz in Texas has said this loud and clear. Deb Fischer in Nebraska; Nikki Hayley, now Governor of South Carolina; Kelly Ayotte, Senator from New Hampshire; Governor Susana Martinez of New Mexico are just some of the more prominent names that Palin has encouraged and actively assisted. There are now twice as many Republican women Governors as their are Democratic Women Governors, and all were endorsed by Sarah Palin. It wasn’t until 1981 when the first Republican woman elected as a state Governor (Kay Orr in Nebraska). However, since Palin became the VP candidate, four have been elected. Senator McCain said that choosing Palin was one of the best decisions he has ever made. To give him due honor, the best decision was not only Palin but through her, his decision has changed the face of the Republican party forever. Almost immediately, the left’s meme that the GOP was the party of white men was destroyed. As prominent national and local elective positions are filled by more and more people from the great mass of plain folks, women, Hispanics, Blacks (Allen West being an outstanding example of the new Republican), the leftist meme of the “rich white man’s party” will be totally destroyed. 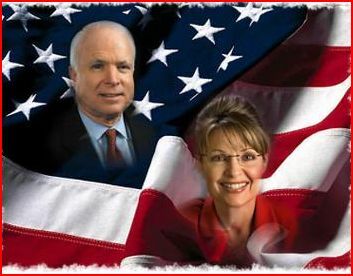 McCain’s choice and Palin’s achievements leading to party diversity will be a lasting monument to both. History may yet show them to be the ultimate winners of the 2008 election when a lasting legacy which changed peoples lives and America forever is considered. The suggested reasons for which women decide not to run for political office are numerous. However, it is undeniable that female candidates undergo a significant amount of scrutiny and criticism when running for office. Female candidates, such as candidates Sarah Palin, Nancy Pelosi, Michele Bachmann, and Hillary Clinton, are often subjected to rude comments about their appearance, brutal challenges to their intelligence, and overall questioning about their ability to effectively govern. Despite the influx of disappointing news about women’s issues in politics, American women finally have something to celebrate: According to the Center for American Women and Politics, there has been a significant increase in the number of women candidatesrunning for Congressional seats in the 2012 election. This year, 18 women are running for the Senate and 163 are running for the House of Representatives, an increase of 22 candidates from 2004’s record high. Here is a précis of a substantial thesis from Auburn University. The link to the full thesis is AT THIS LINK. It will come as no surprise that the author concluded there was indeed substantial matter of gender bias, unbalanced reporting of Palin’s family/private life compared to male candidates and that there was indeed a definite bias against her. Female politicians still have this challenge to overcome but at lower levels than the presidency/vice-presidency. The bar is not set quite so high given the growing number of candidates and successful past candidates for governorship, etc. For the presidency, the barrier is still in place. That Palin has come through these unprecedented and documented attacks with the possibility of a 2016 run open to her is a tribute to her indomitable character. A content analysis was conducted to examine whether a gender bias existed in national newspaper coverage of the 2008 presidential election. This presidential race proved to be historical in many aspects. Not only was the first African-American man elected to the office, but two female contenders with a viable chance of being elected also ran for the offices of president and vice president. The focus of this study is on Alaska Governor Sarah Palin who was a newcomer to the national political scene and who was the second female in history to run for vice president. Past research reiterates the powerful effects news media have on political campaigns (Ansolabehere, Behr, & Iyengar, 1993). Palin, although conservative, may be considered in modern times as a feminist running for political office, thereby being in opposition to traditional male hegemonic roles established in our political discourse. Gender bias towards this masculine ideology may have hindered Palin’s candidacy, portraying Palin’s feminine traits and personal image instead of focusing primarily on policy issues. Analysis between Palin and her male opponent Joseph Biden were made by examining news and editorial coverage from two prominent newspapers, The New York Times and The Washington Post. Coding for possible gender biases included these category comparisons: personal image versus performance, policy issues versus personal information, and “masculine” versus “feminine” political issues. Findings indicate that a gender bias existed against Palin as covered within U.S. newspapers. Conclusions confirm that women still struggle in the national political scene for equal coverage as their male counterpart, therefore hurting their campaign and reducing chances for female political roles. Finally a clear, concise explanation for all the unending anti-Palin tweets and comments and videos and articles over the last four years. Palin Derangement Syndrome has, it is clear, no logical reason for its existence except as a vehicle (Palin) for leftists to put all their frustrations, dreads, hatreds on. Understanding that will allow rational people, from all points of view, to move on from the nonsense and let Palin’s statements stand, or fail, on their merits, not because of some personal hang-up associated with leftists. It’s clear that Ms. Bosley is ill-informed when it comes to Governor Palin’s accomplishments. In an effort to set the record straight, I have responded to her letter and submitted the following response for publication consideration. We’ll see if it gets published. This letter is in response to the September 19th letter from Karen Bosley entitled “Democrat at Heart”. In that letter, Ms. Bosley stated that former Governor of Alaska, Sarah Palin, was not of the same “caliber” as were the numerous Democratic women that she cited who, in her opinion, possessed the qualities to be president. It’s obvious that Ms. Bosley is unaware of Governor Palin’s record of achievement as a small business owner, a city council member, a mayor, a gas and oil regulator and as governor of the largest state in our country. In the interest of brevity, I will focus on Palin’s tenure as governor. All stated items are a matter of record. – Reformed ethics laws with bipartisan support. – Cut state spending by 9.5% between 2007 and 2010. – Forward funded education to give districts greater flexibility. Increased funding for special education by 175%. Governor Palin also offered to personally speak with students considering dropping out of school. – Implemented a Senior Benefits Program to assist low-income older Alaskans. – Reduced federal earmark requests by more than 80%. – Forced Exxon’s hand to drill at Point Thomson after they held a lease for almost 3 decades thus creating jobs and tax revenues. The “good ole boys” just kept renewing the lease. – Alaska Gasline Inducement Act (AGIA) Alaska’s law to advance construction of a natural gas pipeline from the North Slope to market. This had been attempted for decades without success. Palin became governor; it got done. 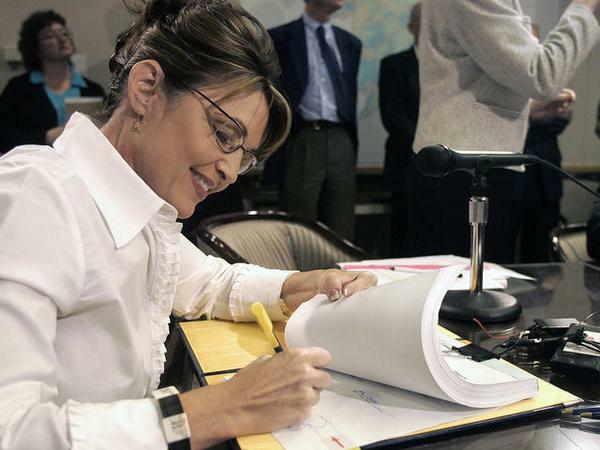 – In 2007 Governor Palin signed ACES (Alaska’s Clear and Equitable Share) – a net tax on oil profits that was passed in a bipartisan and transparent manner. Result? A record number of oil industry jobs were created and it helped Alaska bank 12 billion dollars. – During Palin’s tenure, Alaska was second in job growth compared to all other states. – Palin’s tenure as governor resulted in a bond rating increase by Moody’s Investor’s Service from Aa1 to Aaa. – As governor, earned approval ratings of 89% and 93% (May 2007) and was credited by Democratic Party Chairman, Jake Westbook, as a leader that worked across party lines. – Business license fees were cut in half. Let’s see, important legislation passed in a bipartisan and transparent manner, job creation, development of natural resources, reduced spending and an increased credit rating, all while looking out for education and senior citizens. If you’ve formed an opinion of Sarah Palin based upon Saturday Night Live skits and a certain media narrative, I’m betting the above performance is quite surprising. With great ease, I could continue this list with examples of what a real reformer can do. Not the same “caliber”? Perhaps the simple truth of Sarah Palin’s executive accomplishments sets the record straight. And former governor Sarah Palin joins us. Good evening, Governor. And I’m curious that — I know that he voted against the Stafford Act. But I’m curious, is that, one of the — that was part of a bill that had to do with funding Iraq, and that’s why he voted — he was opposing the Iraq war. Does that have any impact on your thoughts about this? SARAH PALIN, FOX NEWS CONTRIBUTOR/FORMER ALASKA GOVERNOR (Via Telephone): Yes, it sure does. It makes me disrespect President Obama, then candidate Obama, even more because he believed on principle that in order to de-fund our troops, the provision within that legislation included not releasing those Katrina relief funds. It’s a whole ball of wax. It’s appalling, truly. In order to defund our troops, he took that stand of voting against it? Then his speech, Greta, it was in order to race bait. He played chameleon again and engaged in deception when he again said what he thought people wanted to hear because Barack Obama seems to have no core convictions that match what America needs today to restore our exceptionalism. And part of that exceptionalism is equal opportunity for all for success. VAN SUSTEREN: All right, let me turn your attention to last night’s debate. I assume you watched it. Do you have a sort of an impression of it, or thought about it? PALIN: Oh, well, Romney, obviously, won. So I was very encouraged, very excited about the next debate then. Hopefully, Governor Romney will really be able to hammer home his — his plan for sudden and relentless reform of the federal government to shrink it and make it really as irrelevant as possible in our lives. Governor Romney — I look forward to him recognizing and articulating the fact that government doesn’t have a revenue problem, it’s got a spending problem and what he wants to do about that. He won last night and the momentum’s on his side. VAN SUSTEREN: Do you think — what do you think happened last night? Because, you know, a lot of people thought that — and certainly, even President Obama’s, you know, strongest supporters, is that, you know, he — you know, he just — he wasn’t on his game at all. Was it that he wasn’t prepared, or that he simply doesn’t have the arguments, or that he wasn’t interested or just a bad night? What’s your thought? PALIN: He can’t defend his record. He can’t defend the failed policies that have been implemented that have added so greatly to our debt, the deficit spending, the broken promises, unemployment numbers, the allies on the international stage who are now confused and more distrustful of America, all the problems that have been created in the last four years, his failed policies leading to those problems. He couldn’t defend them. So he was kind of lost in having any strong core conviction about why it is that he should be reelected. So you couple that with the fact that he didn’t have a teleprompter in front of him and he didn’t have the filter of the liberal media protecting him and kind of coddling him and ushering him through a debate, a venue that he is so used to. So the candidness, the reality that really hit home for all those millions of viewers was very healthy for democracy. VAN SUSTEREN: I can’t imagine, though, even his most — I mean, even the people who were most critical of him who are also his most passionate supporters — I can’t imagine, even though they thought he did a lousy job at the — at the — at the debate — that’s my word, lousy, not theirs, although they certainly had harsh words for him. You know, they’re still going to vote for him. And so I — I think the question is, like, you know, how do you measure whether or not it had an impact on the undecideds, how many undecideds were watching, and also whether or not it peeled — sort of those on the margin were peeled off in favor of Governor Romney. How do you measure that? PALIN: That’s a great question. And you know, that’s what we’ll find out in the next 30-some days, is will more American voters finally open their eyes, those independents, those who have wanted to give Barack Obama the benefit of the doubt because they, too, have been deceived, I believe, by a complicit media allowing Barack Obama to not be held accountable for his failed policies and a lack of plan, lack of a budget. And we’ll see in these next 30-some days if more and more Americans are waking up to reality and realizing, Greta, that we do have a choice. We have a good choice in candidates, in which direction America will go. VAN SUSTEREN: All right, you’re the only one I know — I guess you are the only one who debated in a vice presidential debate Vice President Joe Biden. Do you have any sort of suggestions or hints or thoughts for Congressman Paul Ryan? PALIN: Paul Ryan needs to take the gloves off, too, and really hammer home some details about Joe Biden’s record, you know, 30-some years of opposing America’s energy independence opportunities that we’ve had. Joe Biden 30-some years ago voted against the Transalaska Oil Pipeline, and from henceforth, from back then, has never supported steps to allow America to be energy-independent. So if Paul Ryan can detail about what it is that he and Governor Romney propose to do to allow our private sector to go and thrive and create jobs, including steps towards energy independence, the audience will appreciate that. And then after the debate, Paul Ryan just needs to watch his back. That’s my advice, because you know, if things don’t go his way, people will be looking for a scapegoat. And I hope that people have learned over the last four years that that doesn’t do anybody any good, is to throw candidates under the bus when they did their best, they stood on their record and their principles and their convictions. And when that inside baseball crap starts getting played out, that’s horrible for the political system. Posted to Sarah Palin’s Facebook page overnight. A major Obama scandal is about to break, which may partially explain his terrible debate performance. Looks like an October Surprise. President Barack Obama’s campaign raised more than $150 million in September, which was a record haul for the 2012 cycle, but the campaign may be actively trying to block a story in the works about a “blockbuster donor scandal” that could put its fundraising numbers under intense scrutiny.According to the Washington Examiner, “a taxpayer watchdog group conducted a nine-month investigation” and uncovered “thousands of cases of credit card solicitations and donations” to the Obama campaign. Many of those donations have allegedly come from overseas and may be in violation of federal election laws. National outlets are preparing stories on the matter, and the Obama campaign has been trying to block those stories from being published. The Wall Street Journal, citing “people familiar with the totals,” reported the Obama campaign’s September fundraising haul on Thursday, which shattered the campaign’s August record of $114 million for the most money raised in a month during the 2012 election cycle. The Obama campaign in August also broke the Romney campaign’s three-month streak in which it beat the Obama campaign in fundraising. And in August, the Obama campaign raised $25 million from people donating $200 or less. In addition, while the September figures are not yet known, “more than 2 million people” had donated $25 or less as of August to the Obama campaign. Under Federal Election Commission (FEC) regulations, campaigns have to make their “best efforts” to collect information about contributors who donate $50-$200, but those who donate less than $200 do not have to be publicly disclosed. Further, all donations less than $50 fall under the “Pass-the-Hat” rule, which means campaigns do not have to make their “best efforts” to collect identifying information on these donors and can actually report all such donations under a lump sum. 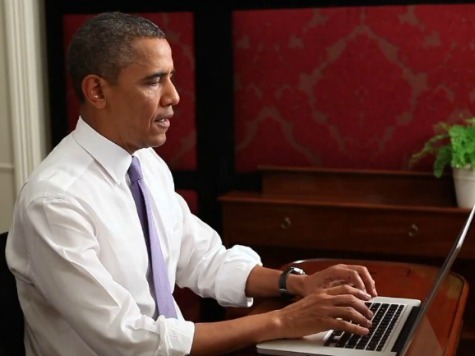 The Obama campaign’s September fundraising numbers may give people a feeling of déjà vu. In September of 2008, the Obama campaign also raised $150 million, which was a record at that time, and added 632,000 new donors then.